I arrived back in Canada at R.C.A.F. Station Rockcliffe Ontario on 8–Aug–1947. I was immediately given 4 weeks holidays accumulated from my M.R.E.S. activities. During this holiday break I informed my mother, sister and friends about my engagement to Bea. I returned to work on 9–September–1947. Although they could not offer me a permanent commission at this time, as permanent openings had not been identified for me, they were prepared to offer me a SSC (short service commission) of term 5 years. The SSC designation would effectively transfer me from the Special Reserve over to the "Regular" force. Although I had hoped for a permanent commission, I was nonetheless pleased with this. This would be effective 1–October–1947. Further the R.C.A.F. would "promote" me on 1–October–1947 from Temporary Flying Officer to Flying Officer on 1st October with seniority retroactive to 7–July–1947. My S/L aspirations would simply have to wait. Finally and of equal importance, the R.C.A.F. was willing to develop a career path for me in the Intelligence field. I was very excited about this! Once again the R.C.A.F. had come through and found a manner in which I could pursue my career ambitions. 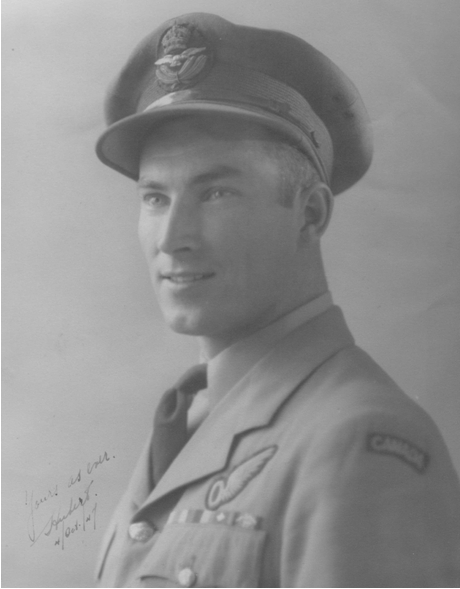 I was transferred 30–Sept–1947 to Air Force Headquarters (AFHQ) Ottawa taking a position with the DIA – Directorate of Intelligence Air Force (RCAF). No sooner had I settled in the DIA at AFHQ then the R.C.A.F. came to me with another special assignment that very much appealed to another "interest" I was passionate about. This concerned the R.C.A.F.Flyers hockey team and the 1948 Winter Olympics in St. Moritz Switzerland. As a result of this development, on the personal level, Bea and I started to see a plan emerging as to the when and where of our wedding.